Punter Sean Landeta, the last remaining NFL player who put on a USFL uniform, officially retired Thursday. And he did it on the 25th anniversary of the first USFL game. 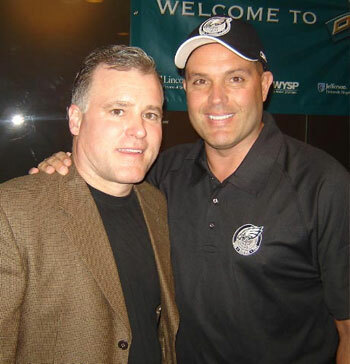 Sean Landeta won two Super Bowl titles with the Giants. Landeta, now 46 years old, played on two Super Bowl championship teams with the New York Giants (1986 and 1990) but hasn't played in an NFL regular season game since 2005 with the Philadelphia Eagles. Landeta was a member of the Philadelphia Stars for the inaugural USFL season, which officially kicked off on March 6, 1983. He played two seasons for the Philadelphia/Baltimore Stars before leaving for the NFL. He came to the Giants in 1985. In his NFL career, he also played for St. Louis, Tampa Bay, Green Bay and Philadelphia. 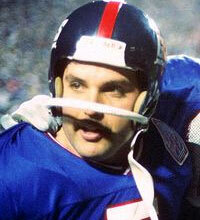 Landeta punted for more than 60,000 yards in his career, averaging 43.3 yards per punt. He was a two-time Pro Bowl selection. Sean has some great football stories to talk about over his career as a Philadelphia eagle and New York Giants .He is a fan favorite! © Copyright 2007 Terry Bender Promotions, Inc.